US sanctions targeting Iran’s oil sector are scheduled to be reimposed in November. 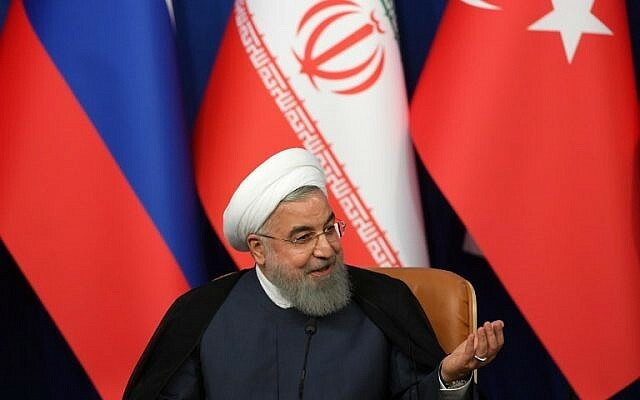 Iran’s President Hassan Rouhani evoked memories of the devastating Iran-Iraq war on Saturday to call for unity in the face of economic hardships and US pressure. “Today, the government is on the frontlines. This is an economic, psychological and propoganda war,” Rouhani said on state television. “We had sweet days and we had hard days during the sacred defence,” he said, using the official name for the war with Iraq which claimed up to two million lives between 1980 and 1988. Iran’s economy has been battered in recent months, in part due to Washington’s withdrawal from the 2015 nuclear deal, which had lifted sanctions in return for curbs to its atomic programme. Prices are rising and shortages are widespread, while Iran’s currency has lost around 70 percent of its value against the dollar compared with a year ago.